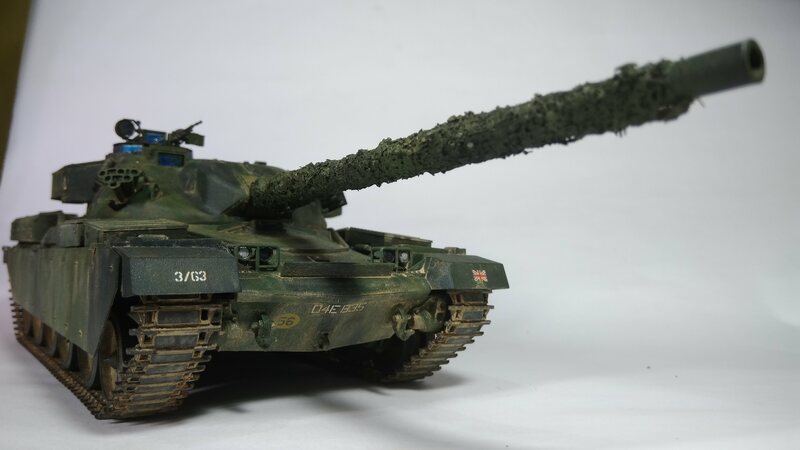 Just a quick update on my Matilda Mk II/IV I entered for this build. She is all assembled and ready for painting. This kit was a joy to assemble. Everything went together with no fit issues at all. This was one of the fastest builds I ever done. 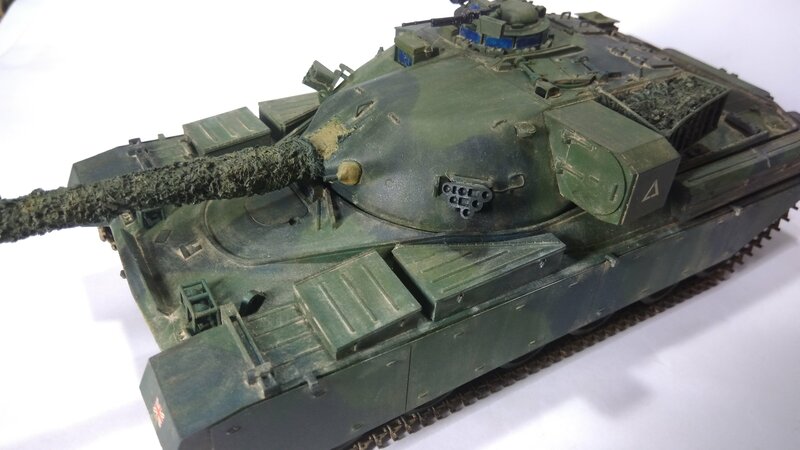 I am getting to like these Tamiya kits. Here are a few progress pictures. Will post new photos after painting. Your Matilda is looking awesome. Clean build. Super Nice. Nigel, it was a good save then. Saves a full strip and re-do. 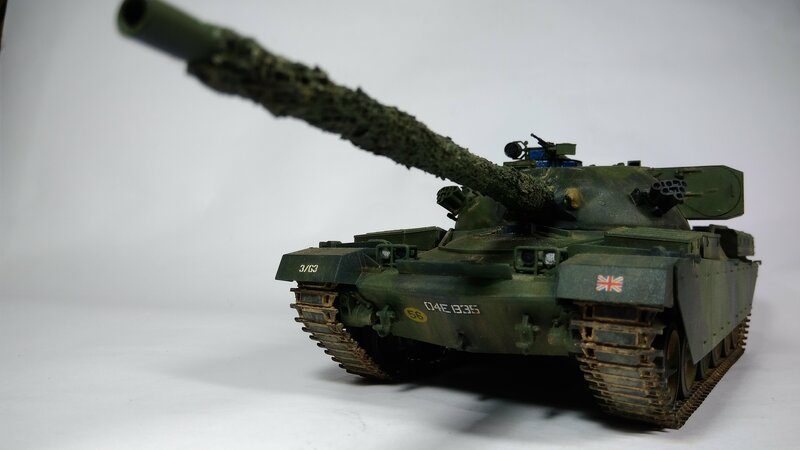 Well, here's progress on my Tamiya Chieftain. Here she is with the decals, washes and some dusting. Not too satisfied with it yet. 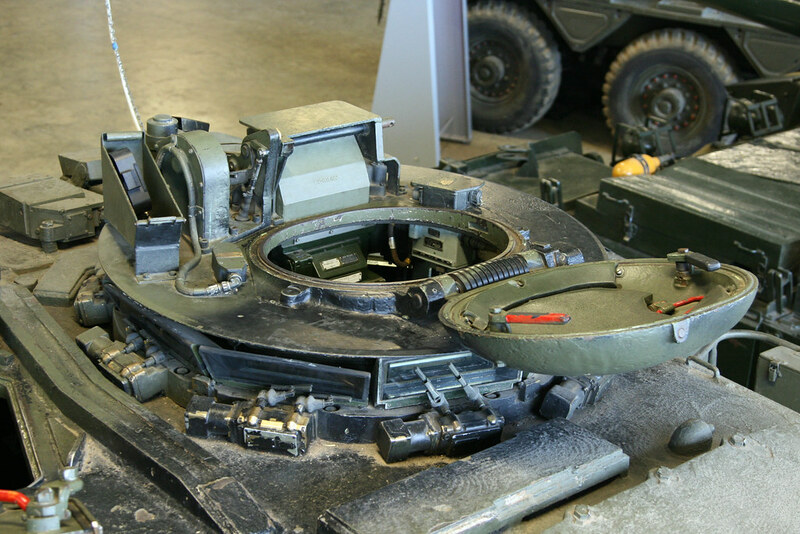 Was a bit heavy handed with the dust wash on the turret. I will probably apply the same wash to the area around the driver's hatch and the engine compartment. Nice progress. 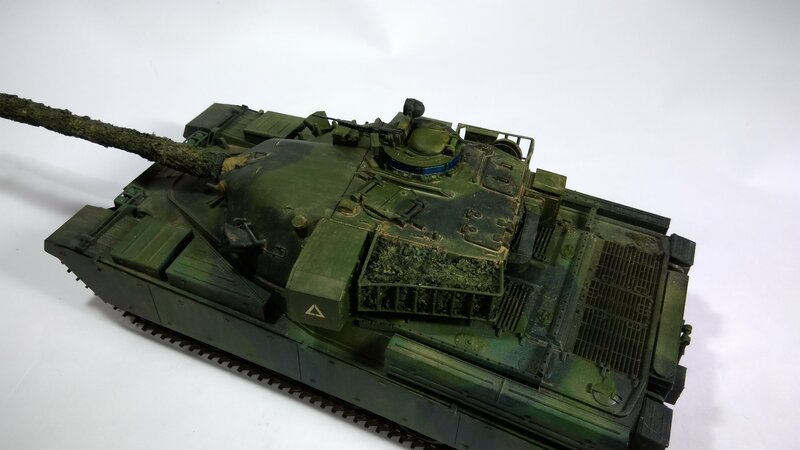 Churchill tanks are one of my favorites. Thanks @Peter for the feedback. 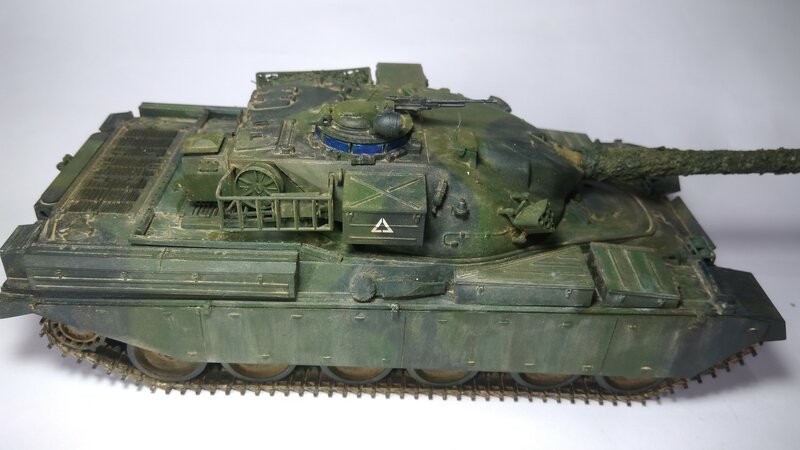 Anyway, here's the chieftain after one more dust wash on the hull. Unless there are any other comments, I'm calling this done. While I think I could have done better with the turret periscopes, I need to focus on other builds. Looking good so far Tom. Nigel, have you considered using window tint film for your glass? 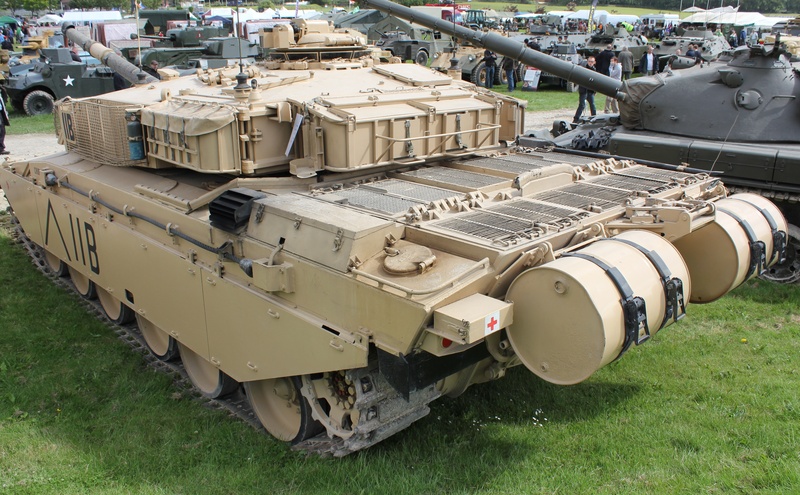 The Chieftain has glass that looks black until you get close, then you can see it is fairly clear. For these moulded in lenses, I use window tint film cut to size. A trip to the local tinting service came away with free samples of various shades, enough to last a long time when cut up into strips for lenses. It is self adhesive after being dipped in water, but I usually paint the lens with a gloss varnish and apply the tint when still wet. Just a thought for your next build. Thanks for the advice Peter! 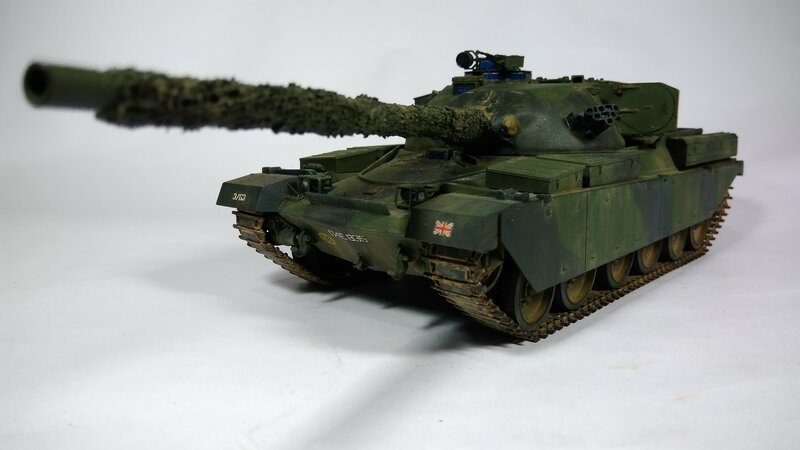 I might just do that on my next British kits. 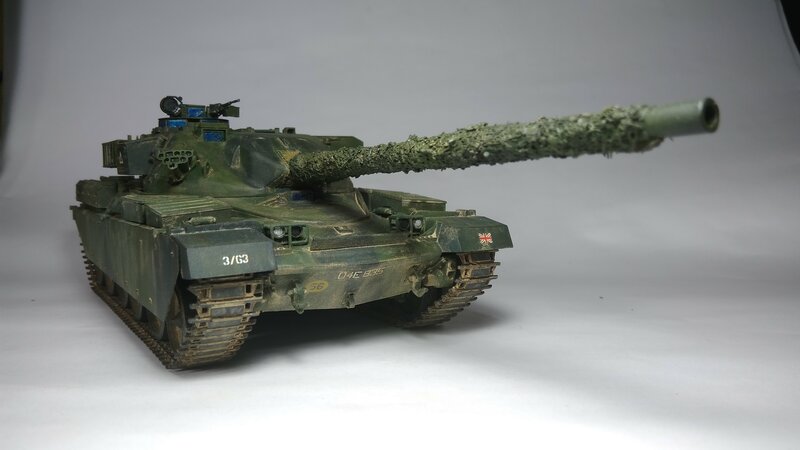 I have a Tamiya Challenger in the stash as well - hope that this technique can also apply to that kit. 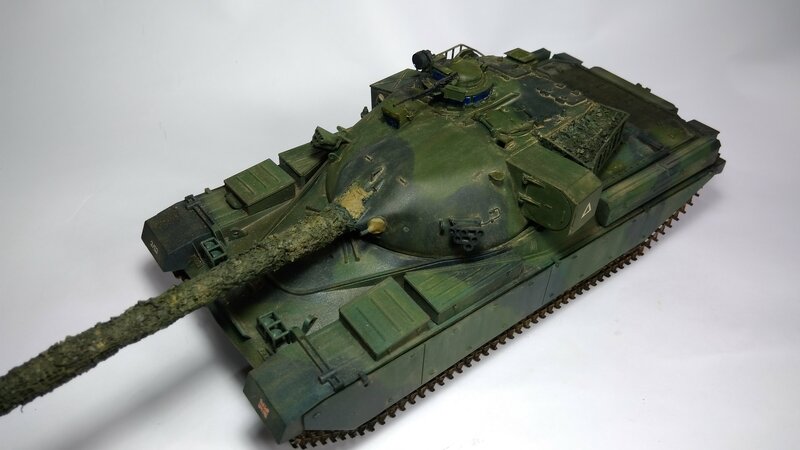 I have a Tamiya Challenger in the stash as well - hope that this technique can also apply to that kit. 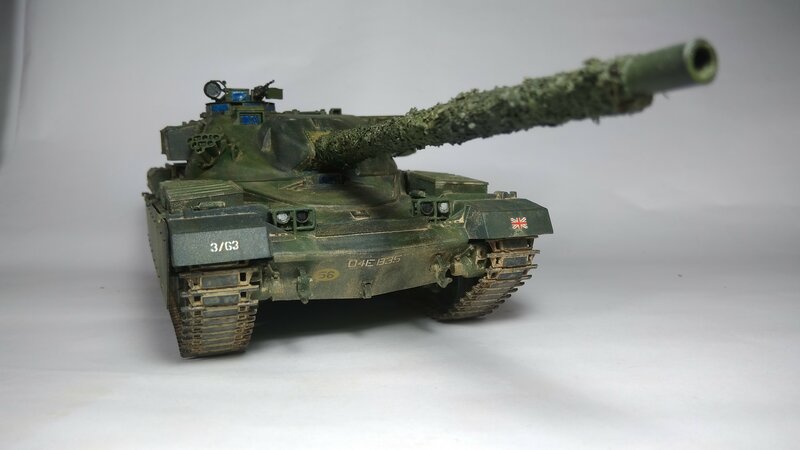 also, I've tried uploading photos of the Chieftain to the campaign gallery page but it keeps giving me an error or white page. My account also tells me that the photos are still in queue. Anyone else with the same problem? 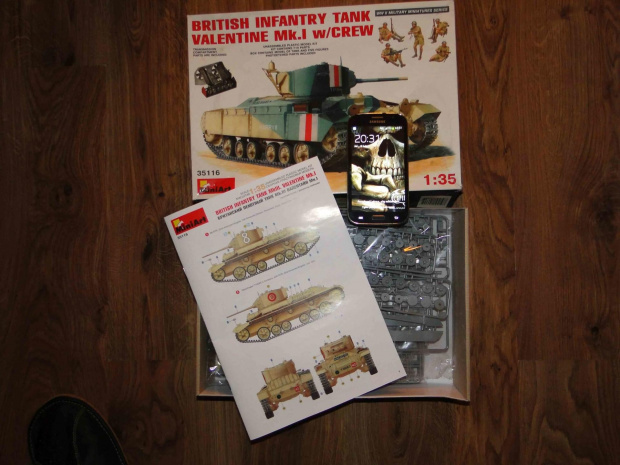 Finally, I join the campaign with Valentine Mk I. 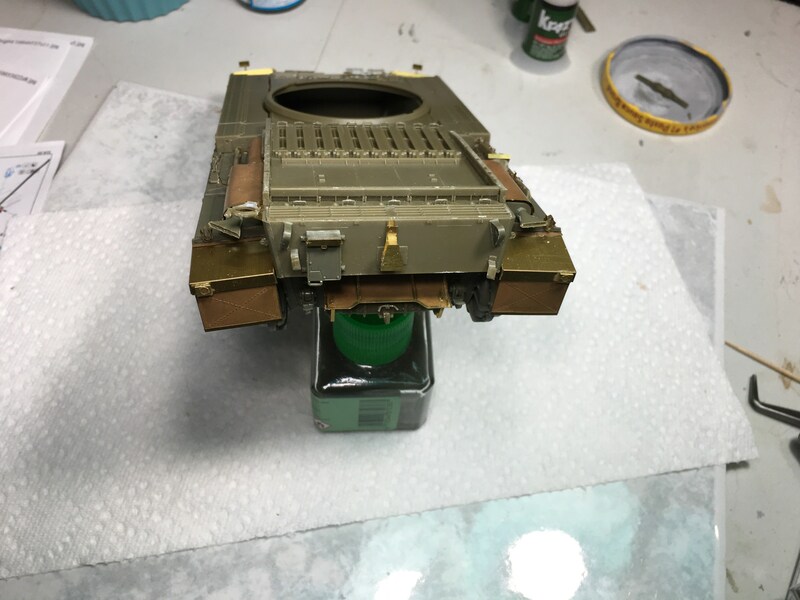 The model will be interesting but I will do it with closed hatches because the producer did not show in the instructions how to paint them. I also found nothing useful on the web, maybe I was looking for it badly. Going through the instructions and parts, I am having flashbacks to building Broncos Bishop, but a little bit simplified I think. 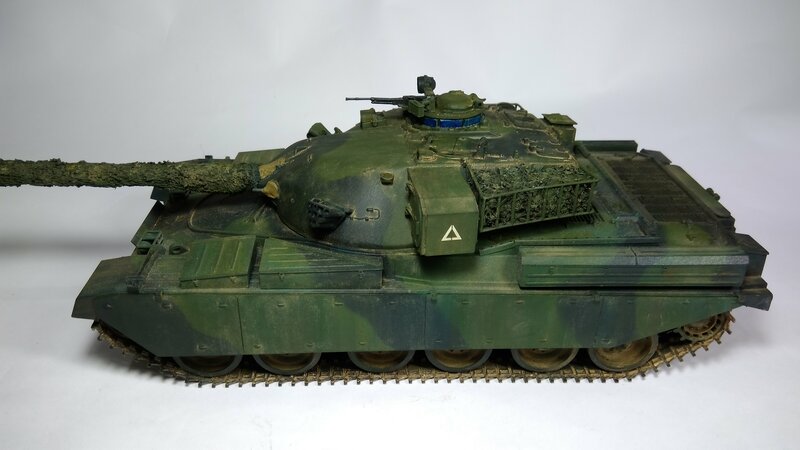 If I recall correctly, Bronco used Miniart's Valentine hull for their Bishop Kit. I noticed that some frames with parts have the Bronco logo. 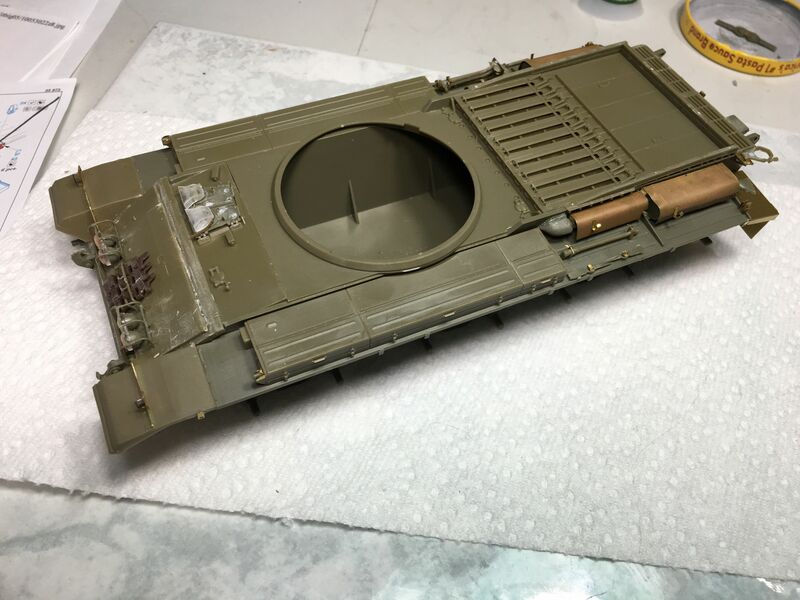 I found some pictures of the interior of the tank so I will be able to paint it, although it is not too much. 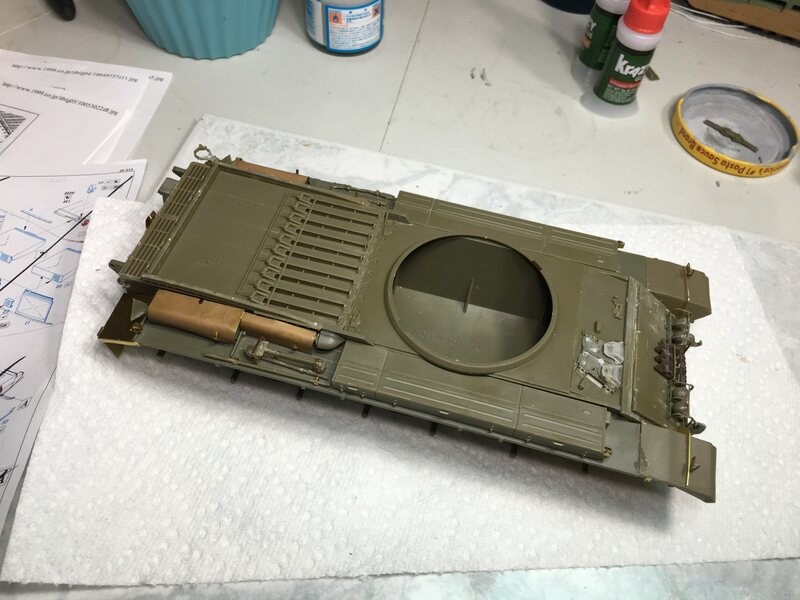 Could very well be, and since I just looked, and Broncos logo is on the transmission sprue, that explains why all it goes together the same including part numbers. Just the instruction assembly sequence is slightly different. Seat looks like it could use a touch up in the photo, but my valentine is progressing slowly. The upper hull has the same warping problem that I had with broncos bishop so I am taking my time trying to get that sorted. Chris and Iain. Looking good guys. First WIP shots. Running gear is done and the basic hull is built. 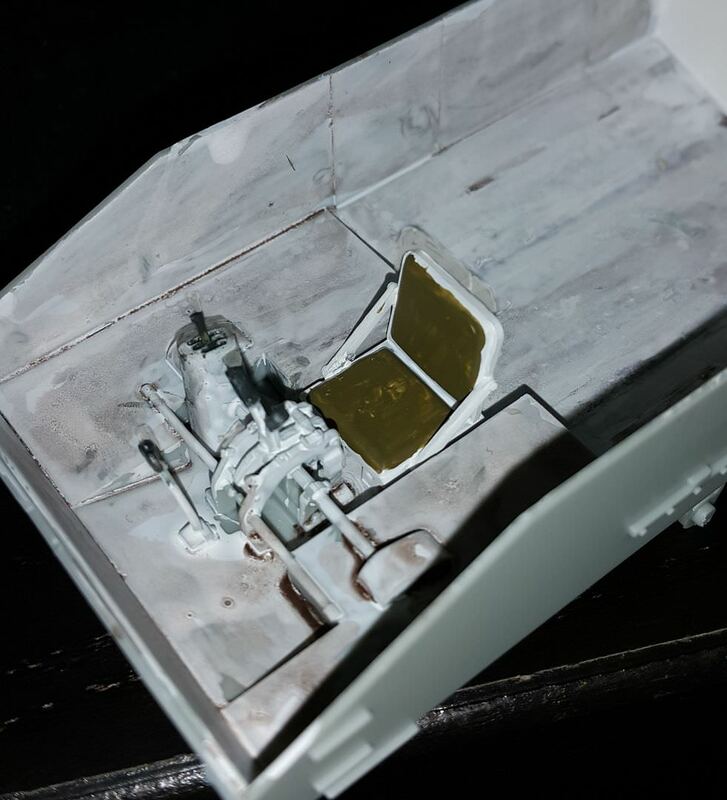 Not seen but I have started adding PE to the back plate of the hull. 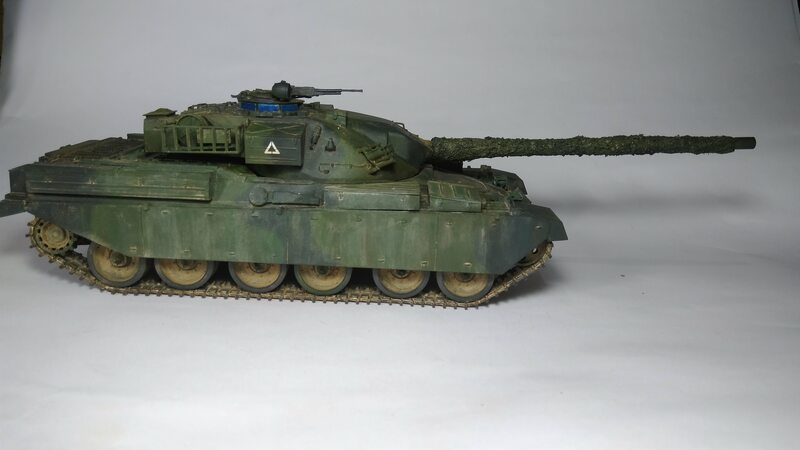 I am backdating the AFV Club Kal'shot 1973 back to a Mk6. 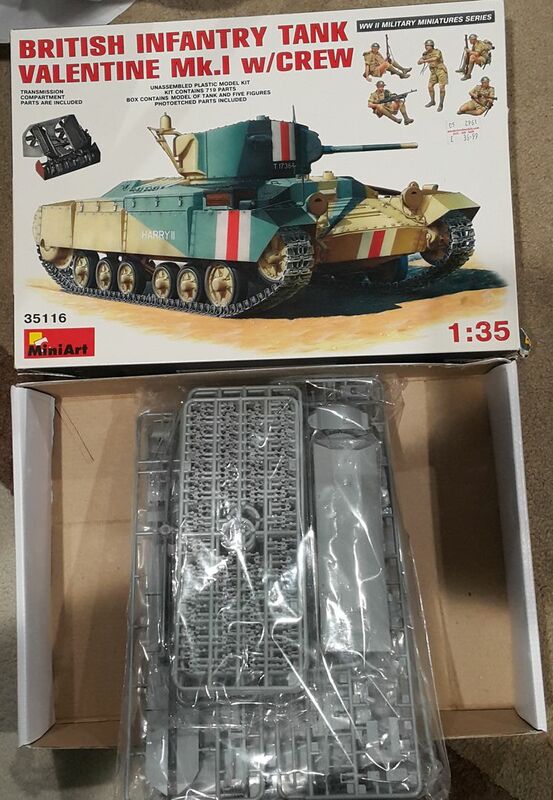 Luckily 98% of the parts I need are included in the kit. I mostly have to adapt the front uparmored plate to Mk 6 standard. 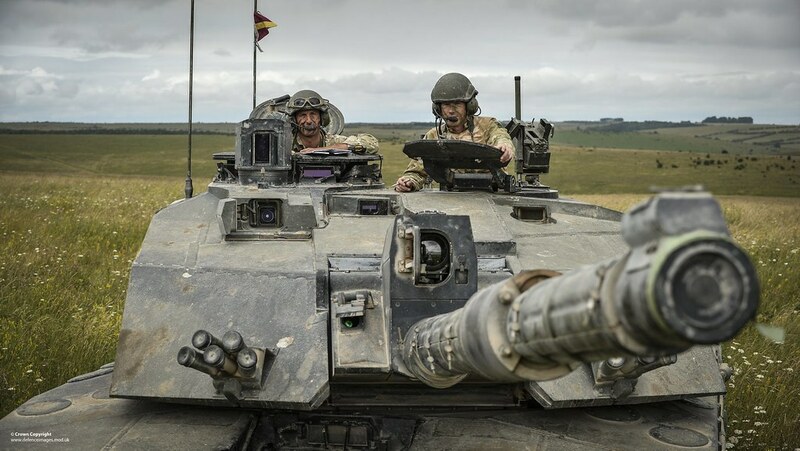 That looks to be one big tank. Mail hull is complete. Side skirts have been left off for painting and adding the wheels/tracks later. I do enjoy using Eduard PE. It may not be the most detailed of PE but its always so easy to use. 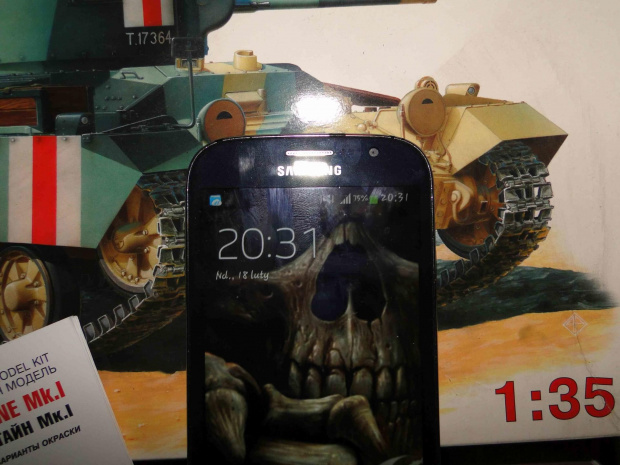 I was fairly judicious in my use of it, using what I thought looked good and what added to the kit. 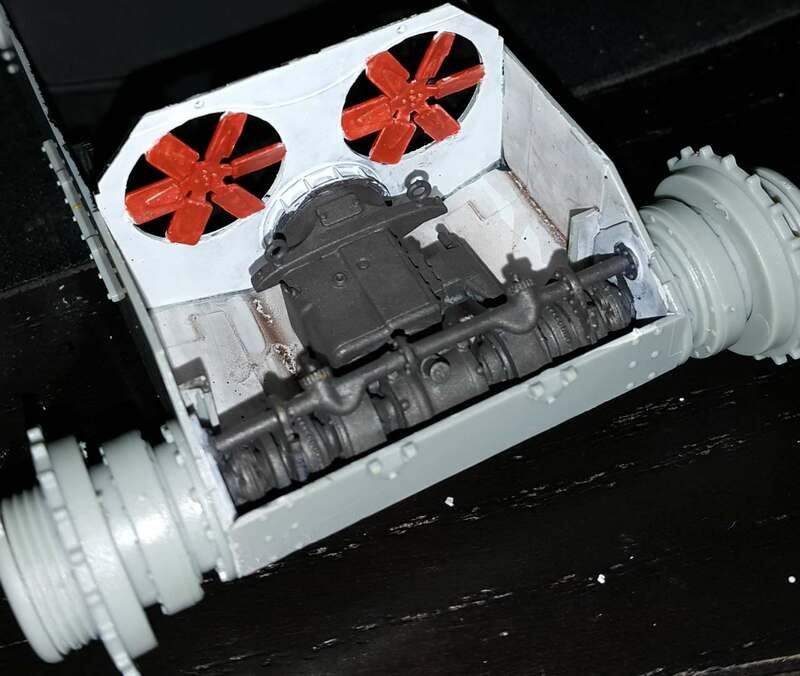 For instance, I don't think the PE locks and clasps on the stowage looked that much better than the plastic ones so left it off. The PE grab handles for said stowage was also the most flimsy and horrible I have ever seen so left the plastic as is. The vehicle is now completely built and ready for paint. Side skirts, wheels, tracks and MG are not glued on yet as I will be painting them separately. I went back and used the PE grab handles after all though I still didn't think the locks were worth it. Getting the gun mantle to fit and stick was a real pain in the posterior.